The face of the world is changing above the atmosphere in orbit. In the near future, The East and the West battle for superiority in space. There has already been the first interplanetary conflict which could lead to a full scale war. During the last century major scientific discoveries have come from research centers sponsored by the world’s super powers in outer space. The Eastern and Western superpowers have been involved in an arms race to weaponize these research facilities in space to protect their secrets. Neither side wants to lose these discoveries in a conflict so an armistice was brokered between The East and The West. The new Hawaiian Monarchy has become a surface power and neutral territory for these diplomatic summits. Kahoʻolawe was the first island to assert their independence by the Native Hawaiians who entered into the commercial space industry taking tourists into orbit. The New Monarchy was able to acquire other islands and assert themselves back as the official Kingdom of Hawai’i. The terms of the armistice didn’t include disarmament of the ordinances left to drift and perhaps fall to the surface. The Kingdom of Hawai’i used its resources to disarm the ordinances in international space that could threaten the surface. The need for an agency was realized after an ordinance almost fell to the surface with devastating consequences. But there was a pilot who prevented it from happening, he was called Kukui, because it was nuts to disarm a bomb in space. The agency is called, The KUKUI PROJECT. 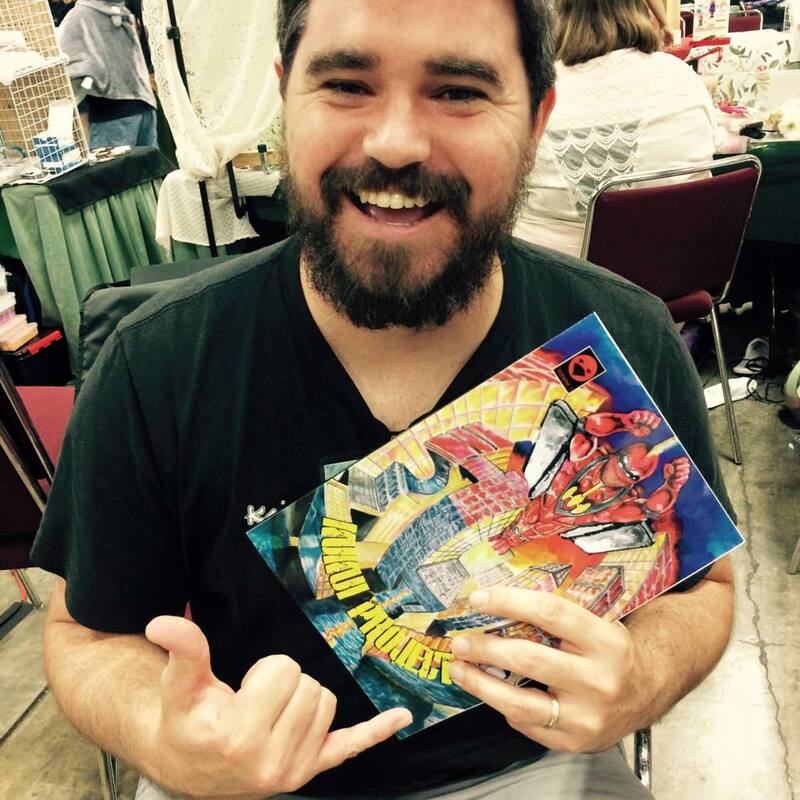 Hello I’m Todd, an indie comic book artist and creator of the Kukui Project series. Join my mailing list to be updated when new issues come out. Mahalo! © 2019 Kukui Project. All rights reserved.